Discussion in 'Everything Else Cattle' started by GLENMAR, Apr 14, 2019. Getting our first Scottish Highland meat soon. Our guy was 28 mos. Hanging weight 366 lbs. Small by most standard breeds I know, but great for the 2 of us. Should still be a bit over 200 lbs of take home beef. He loaded on the trailer great and got off calmly. Can't get any easier then that. Here's an older photo of him. He was our second calf born on the farm. B&B Happy goats, Mike CHS, Baymule and 2 others like this. Can't wait to hear how he tastes! 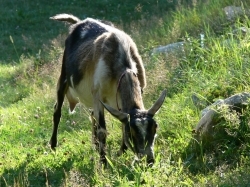 B&B Happy goats, Mike CHS, Southern by choice and 4 others like this. That makes all the hard work worth it! Nothing like your own home grown beef. Do you know what live weight was? No don't know live weight. I only fed him corn and grain the last 2 weeks. I should have started earlier. But he's grass fed and all natural. Very slow maturing breed, but you know, I think it will be enough beef for us to last 2 yrs.